Nicholas Youtz, Esq. — Denise Hallmon Rowan & Associates, P.A. 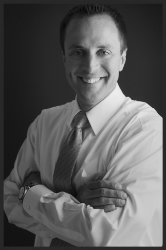 Nick is experienced in real estate, business and finance, including transactional and trial practice. He has practiced in all levels of state courts from Key West to Pensacola. Mr. Youtz’s experience in real estate litigation includes enforcement of loans for regional and national mortgage servicers and lenders. Mr. Youtz received his J.D. from St. Thomas University School of Law in Miami Gardens, Florida after spending his last year of law school studying at the University of Akron School of Law in Ohio. A native of Alliance, Ohio, Nick pursued his undergraduate studies at Mount Union College where he received a B.A. in History and played four years of baseball. Nick is admitted to practice in Florida and a member of the American Bar Association, Bay County Bar Association, St. Andrews Bay American Inns of Court.